Download and run this free simulation of a three- and two-masted square-rigged sailing ship for Microsoft Windows (7, Vista, XP, 98 or 95). Download the HMS Surprise simulator (release 06.12.09; development history); then just unzip Surprise.zip (for example with WinZip) into any folder (for example C:\Program Files\Surprise) and run Surprise.exe. View screen shots of the simulator in action. Read the documentation file for the simulator in your word processor (this file is also contained in the download package). Download the source code of the simulator (only of interest if you are a C-programmer). Technical note: I originally developed this project using the Mingw32 version of EGCS 1.1.2, a port of the GCC 2.8.1 compiler for Windows 95, and have subsequently upgraded to MinGW 3.1.0. As Integrated Development Environment I use RSXIDE 2.0 (still available here) with PFE 1.01 as editor. As the individual lines of the RSXIDE Makefile may apparently not be longer than the DOS-limit of 126 characters, and I use a total of 13 .c files, I have had to give these short names. If you have any problems downloading, installing or running the simulator, comments on the behaviour of the ship or any suggestions for improvements let me know. 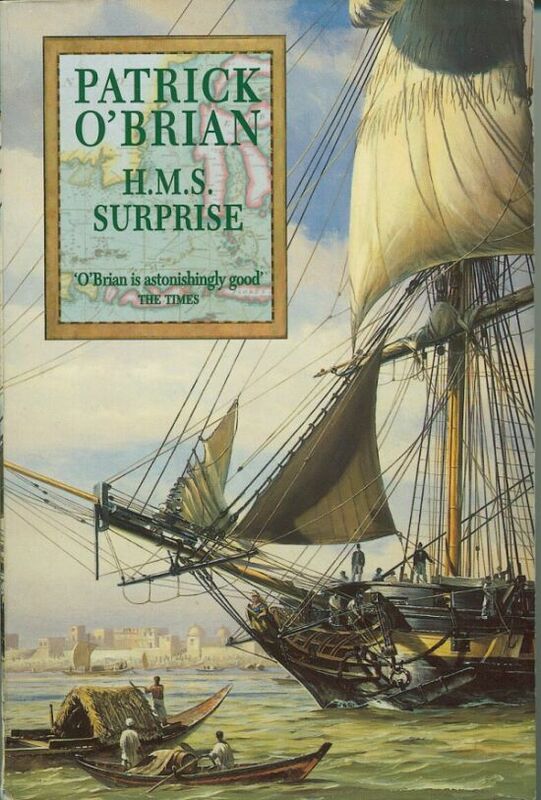 If you do not appreciate why this programme is called HMS Surprise, head for the nearest bookshop and look for the Aubrey/Maturin novels by Patrick O'Brian. You can also check out W.W. Norton's Patrick O'Brian Homepage or subscribe to the Gunroom mailing list. For more serious discussion of all aspects of maritime history, join the MarHst-L mailing list.